5 STAR REVIEWS! SAVINGS A/C in Master BR, Right On The Sandy Beach! RIGHT ON THE BEACH AND ONLY STEPS TO THE SAND - 2 BEDROOM 2 BATH CONDO BEACH RETREAT AT THE MAKANI A KAI CONDO COMPLEX IN THE QUAINT HARBOR VILLAGE MAALAEA! ONE OF ONLY TWO COMPLEXES WITH FULL BEACH FRONT ACCESS! ALSO COMPLETE WITH THE SIGHTS AND SOUNDS OF PARADISE! A warm and tasteful island vibe with romantic architectural features. Master and guest room is private with comfy king size bed in Master and Queen size in guest room. Master bedroom features a large walk in closet and lovely master bath with travertine spacious walk in shower. Living room and master bedroom both over look the beach , community beach park, ocean and the lights across the bay at night! Living room and master bedroom both have air conditioning units to keep you comfy and cool. Kitchen is more than well stocked just like a home. Available amenities for use are free Wireless Internet, TV, DVD, cable, beach chairs, beach umbrella, beach towels and a cooler for your excursions. Have fun frolicking in the beach side pool, cook up a feast at the beach side large Weber BBQs and relax beach side on one of the comfy lawn lounges. From your lanai enjoy a moon lite cocktail or a morning sunrise breakfast! I Go Maui Vacation Rentals & Realty has been managing vacation rentals on Maui for over 15 years. We have a great reputation for meeting our "Motto" HAPPY GUESTS, HAPPY OWNERS, HAPPY US! Humpback Whale calving and breeding grounds during the winter months (November through April) right in front of the property! Ocean swimming, boogie boarding and surfing (during south swells), and windsurfing! The Pacific Whale foundation is a 10-minute walk from the property so you can walk to your whale watch tour, or take educational classes without a car! There is a charming local store called 'Tradewinds' AND the Harbor General Store with espresso, groceries, and deli. 5 minutes by foot, for local meat, fruits, and vegetables, liquor. Literally only a few steps to the Sand! No Building obstructing your view. Just right outside your door! Beautiful and peaceful location on ocean front sandy beaches. Property is well kept and lush with palms, flowering trees and shrubs. Beach front is beautiful Hawaiian blue water looking out at Haliakala mountain. Everything you need was available, well equipped kitchen, beach chairs and towels etc. Would love to come back. Very pleasant, outside of a few issues it was very enjoyable. Loved the view, closeness to the beach. The condo was very well equipped and was located right on the beach. Beach towels, beach chairs, beach umbrella and boogie boards were provided. The on-site support people were very attentive to whatever we needed. The only negative was that the condo bordered a public park, which allowed overnight campers and was very crowded and busy on the weekend. A birthday party was held in the park on Saturday, and an inflatable bounce house was brought in and blown up right off of our lanai. This not only obstructed our ocean view, but the constant drone of the generator made for a lot of noise all day long. Gorgeous condo, with everything we needed. Great location, lovely beach. Highly recommend. Maalaea is the most central location on Maui a reasonable drive to all points of interest. Only 10 min from the Kahului Airport & Kihei and 20 min from Lahania & Kaanapali. This Luxury Retreat has a charming and tasteful Aloha appeal and best of all it is located on a beach that stretches for miles and feels like it's your very own. Shopping, gas, groceries and some of Maui's most popular restaurants are located just down the street along with the family sport center that features, mini golf, water bumper boats, rock climbing and extreme trampoline. Everything you desire is right here at Makani A Kai with yummy restaurants from casual to fine dining. Enjoy sun worshiping on the beach, swimming, surfing, snorkeling and beach combing. Nearby Maalaea Harbor provides guided boat tours such as snorkeling, scuba, snuba, fishing, dinner/cocktail cruises and whale watching (when in season). 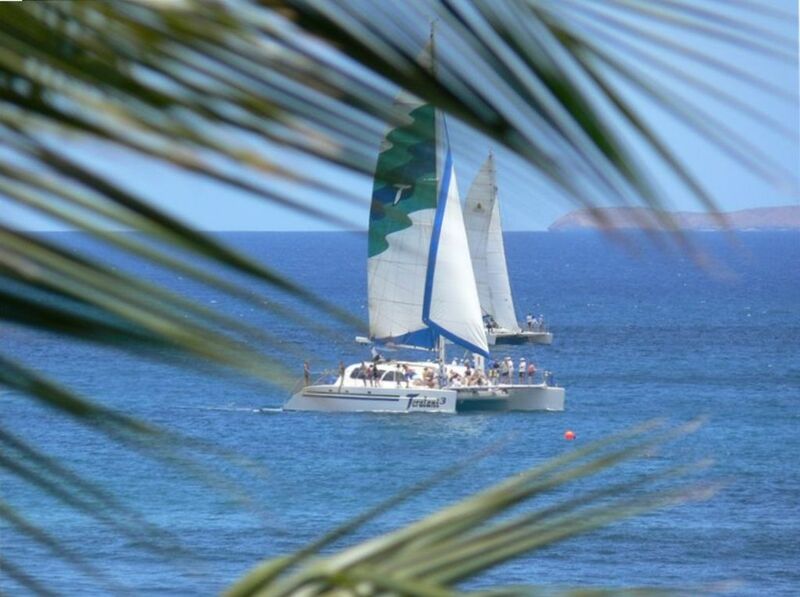 WE ARE YOUR CONCIERGE SERVICE..HELPING ALL OF OUR GUESTS WITH THEIR MAUI FUN ACTIVITIES AND TOURS. Other Activities: Shopping, Boating, Para sailing, wildlife viewing, health/Beauty Spa, Miniature Golf, horseback Riding.